Lucknow | Amidst the recent name-changing spree by the Uttar Pradesh government, former CM Akhilesh Yadav has slammed the Yogi government. The Samajwadi Party chief lashed out at CM Yogi Adityanath for renaming Ekana cricket stadium after former Prime Minister Atal Bihari Vajpayee. Calling the move, a mere renaming exercise, Yadav suggested that BJP should rathar construct a separate stadium at the former PM’s paternal village of Bateshwar near Agra. On Monday, the Yogi Adityanath government announced the renaming of the Ekana cricket stadium to Bharat Ratna Atal Bihari Vajpayee International Sports Stadium. The announcement came a day before the second T20 match between India and West Indies that was held at the stadium. Taking a jibe at BJP government, Akhilesh Yadav said that the party did not construct anything in its tenure. ‘I am very happy that the stadium has been renamed after former Prime Minister Atal Bihari Vajpayee. At least the BJP did something, doesn’t matter if they did not construct it themselves,’ said Akhilesh Yadav. He further questioned BJP’s promise of development and commitment to honour former PM Atal Bihari Vajpayee. ‘If the BJP respect Atal ji genuinely, they should consider launching developmental schemes in Bateshwar,’ he said. 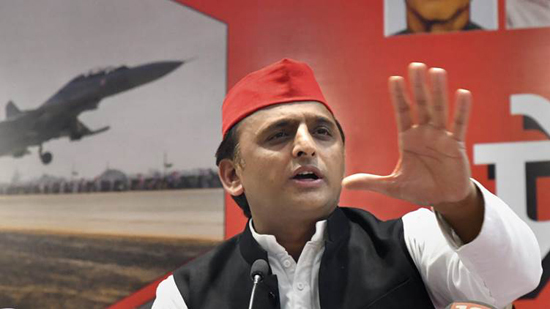 Akhilesh accused the BJP of trying to create a communal divide in the society saying that the party is not even ‘loyal to the Gods’ referring that the word ekana means Lord Vishnu.